Carlo Manley was one of many successful recipients of the NAFEA Student Scholarship Program in 2018. 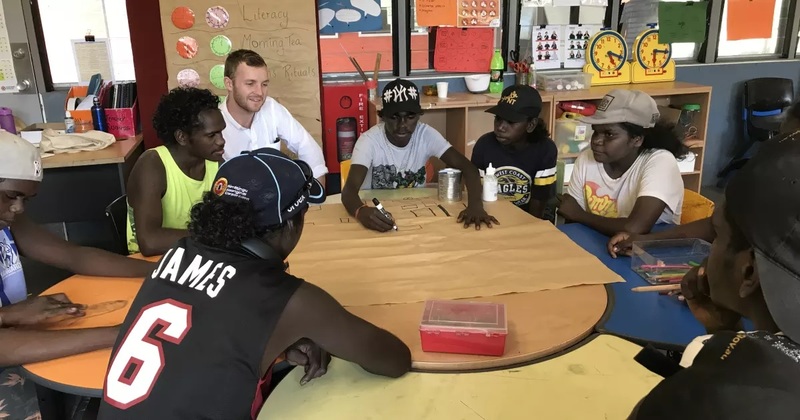 Carlo is featured in this University of Melbourne article about his Yirrkala Homelands School placement in East Arnhem Land supported via the NAFEA program. The full article available here. The National Association of Field Experience Administrators Inc. (NAFEA) was formed in 2003 to represent tertiary administrators engaged in the logistical placement of students for field experiences. Learn More.